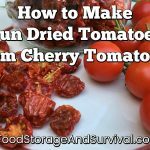 Want to liven up your cooking and your food storage meals? Today’s National Preparedness Month giveaway is just the thing–a four pack of Chef Tess spices! The Southwest Fajita turns any dish into a zesty delight. It is made with authentic fresh ground ancho chiles, fresh bold garlic, natural citrus, and other fine ingredients that make this spice irreplaceable. Rice, beans, meat and corn will beg for more! The Romantic Italian is a bold yet comforting blend of Italian flavors reminiscent of that rich simmering pot of homemade marinara. 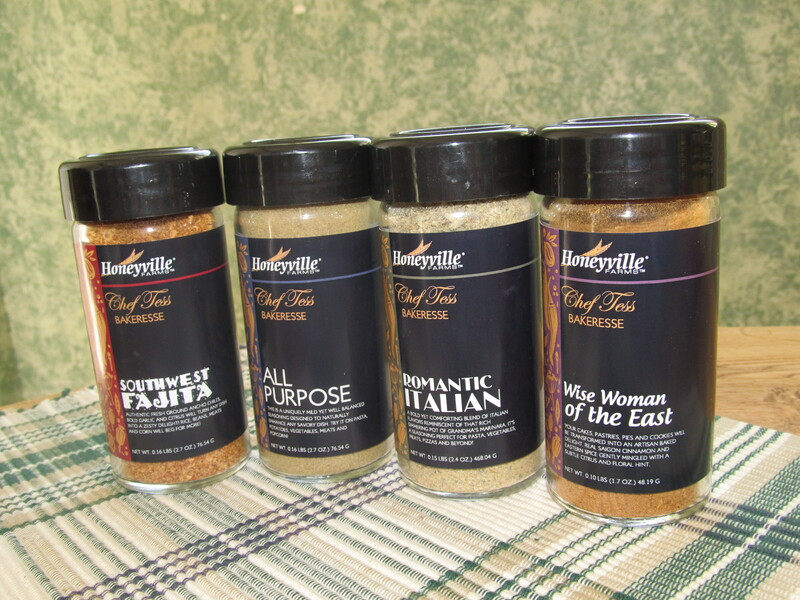 It is a seasoning perfect for pastas, vegetables, meats, pizzas and more. Add this to your meal and you will think your dining at an Italian restaurant in Venice. 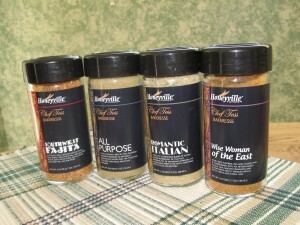 The All Purpose Mix is a uniquely mild and well balanced seasoning designed to naturally enhance any savory dish. Try it on pastas, potatoes, vegetables, meats and even popcorn. This mix has natural sea salt, fresh eye-watering garlic and the perfect blend of spices to outperform any all purpose seasoning. The Wise Woman of the East makes your cakes, pastries, pies and cookies transform into an artisan baked delight. With saigon cinnamon and eastern spice gently mingled with a subtle citrus and floral hint, this baking add on will make your tastebuds go into overdrive with all your favorite baked goods. We’ll have two winners in this giveaway and one will actually receive the new Greek Olympian instead of the Romantic Italian–both are good! By the way, if you’re on Pinterest and the least interested in food storage, you’ve probably pinned one of Chef Tess’ meals in a jar posts. I certainly have! The official recipe book is due out in December, and a lot of the recipes include these spices. 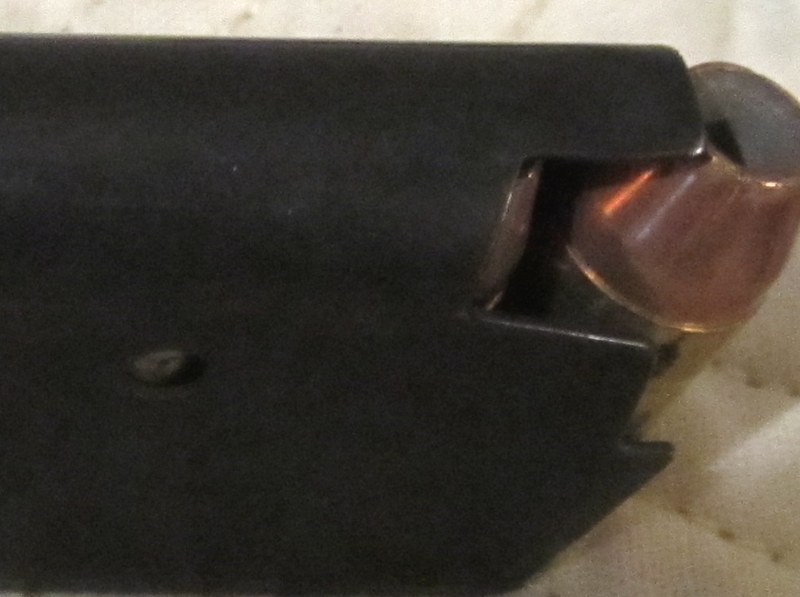 To enter, all you need to do is guess the mystery preparedness item pictured below. It is a preparedness item. If you have no idea, take your best guess. There are also a couple more ways to enter like sharing this post or liking my facebook page. Please don’t guess in the comments–use the form so your entry will count and everyone has the same disadvantage! :) You can click the picture to make it bigger although it’s already super-close-and-bigger-than-life right here in the post. Guess this mystery preparedness item to be entered to win! This giveaway will run through next Friday, October 5th and is sponsored by the fabulous Chef Tess. If you don’t see the form, wait a bit or use the rafflecopter link below.